Chairman and president of Shenzhen Efung Investment Management Enterprise L.P.
Mr. Jinqiao Zhu, EMBA of Changjiang Business School, sponsor of China Pharmaceutical Innovation and Research Development Association, member of Bayhelix Group and the most potential investor in Shenzhen, has rooted in the medical and health investment industry for more than ten years, and has rich investment experience and precise investment vision. 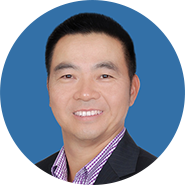 Efung Venture, founded by Mr. Zhu, is the first group of professional investment institutions in Shenzhen. It has been awarded the Top Ten Venture Capital Organizations in Shenzhen for many years, focusing on the medical and health industry, especially the VC and PE investment business of innovative drugs and high-end medical devices. Efung Venture has invested in dozens of domestic and foreign enterprises, such as Mindray, Chipscreen, Ascentage Pharma, Frontier Biotechnologies, Aridis, Centrexion and so on. With the power of capital, it has been leading the vigorous development of the domestic industrial chain in the relevant emerging fields, and creating tremendous economic benefits and social influence. With the accumulation of several years, Efung Venture has formed the concept of "investment is service", created an experienced and distinctive professional investment team, and insisted the "five in one" systematic operation of the investment, financing, risk controls, management and service, devoted itself to be a people-oriented, trustworthy, evergreen and excellent venture capital.